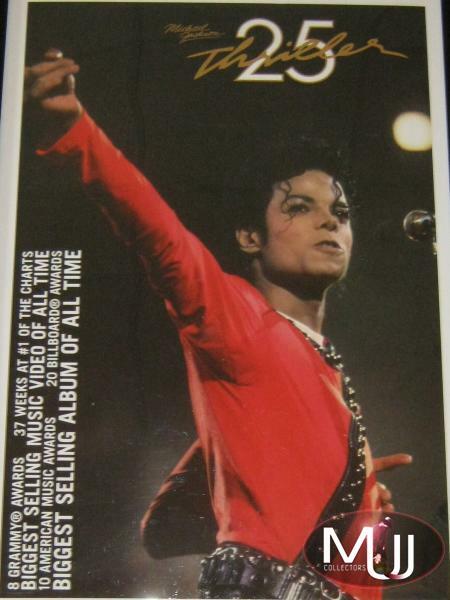 Picture Description: MJ in red shirt from opening of the 1987 Japan Tour. Known through Pyramid as the "Thriller Album Records" poster. MJ in red shirt from opening of the 1987 Japan Tour. Left lists several records held by the Thriller album the "Biggest Selling Album of All Time." Distributed exclusively by Pyramid and sold exclusively online at Bravado's UK site and UK retail shops.